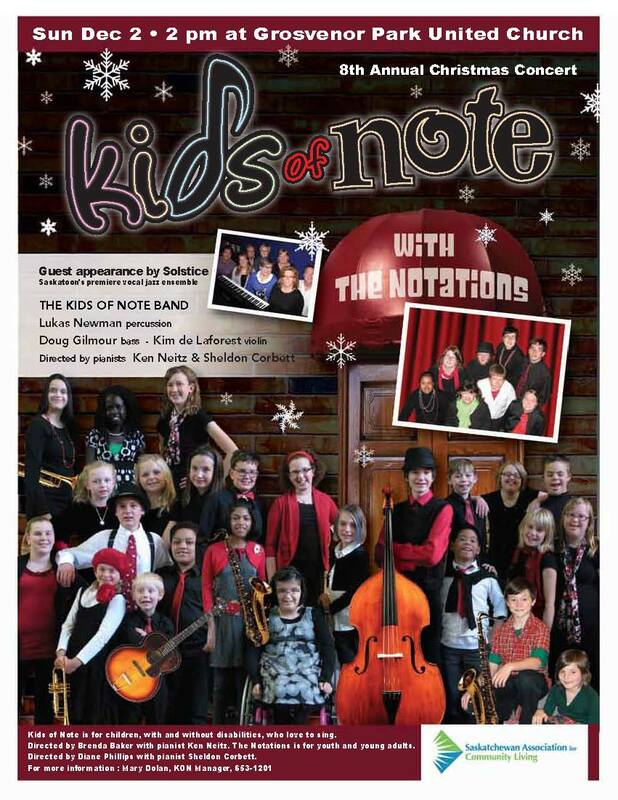 Kids of Note & The Notations will be kicking off the Christmas season with its 8th Annual Christmas Concert featuring Saskatoon's premiere vocal jazz ensemble, Solstice. This 60-minute free concert will be held Sunday, December 2 at 2 p.m. at the Grosvenor Park United Church, 407 Cumberland Ave. S. The concert will be followed by a public reception. 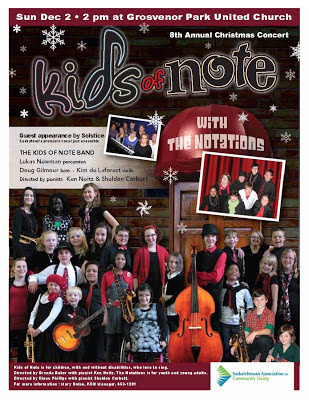 Kids of Note is for children, with and without disabilities, who love to sing. The Notations is for youth and young adults, with and without disabilities, who love to sing. For more information, contact Mary Dolan or visit the Kids of Note website.